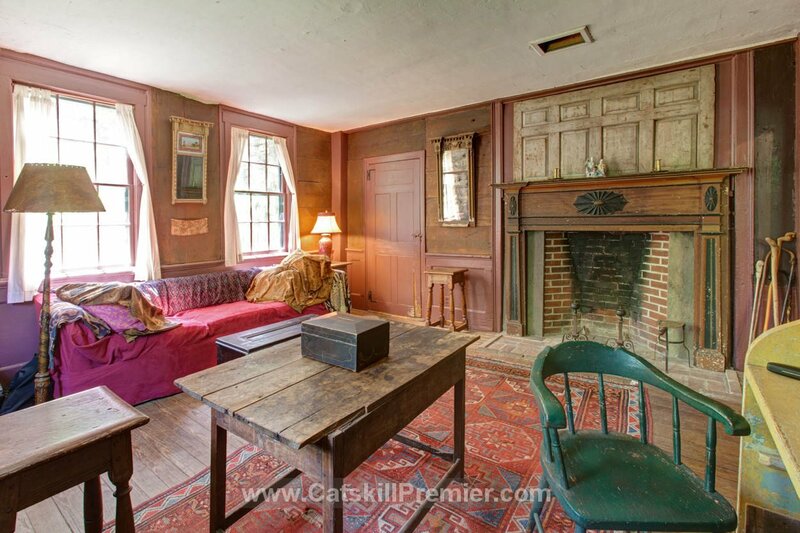 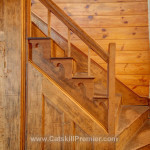 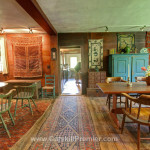 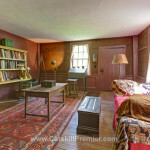 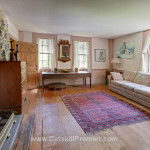 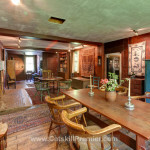 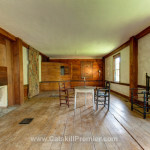 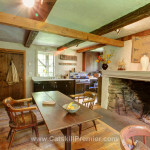 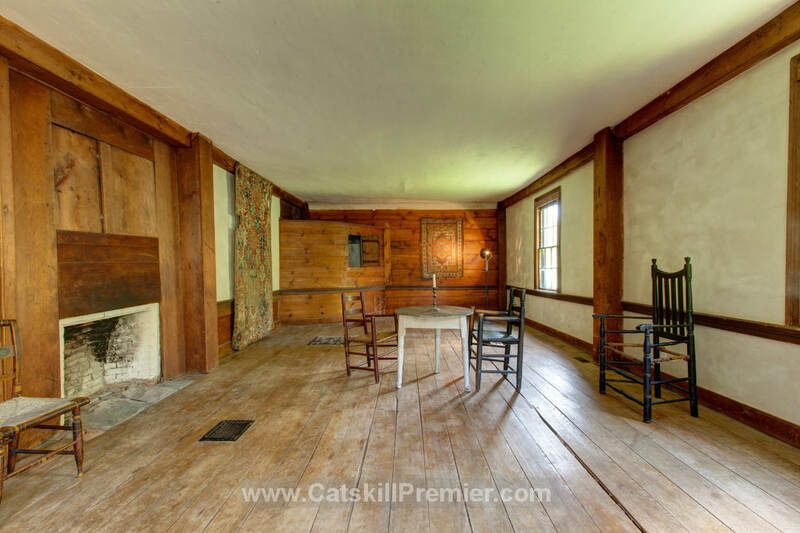 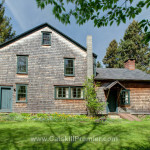 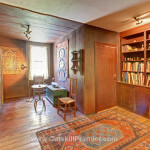 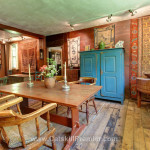 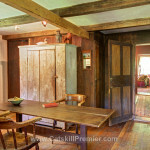 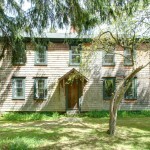 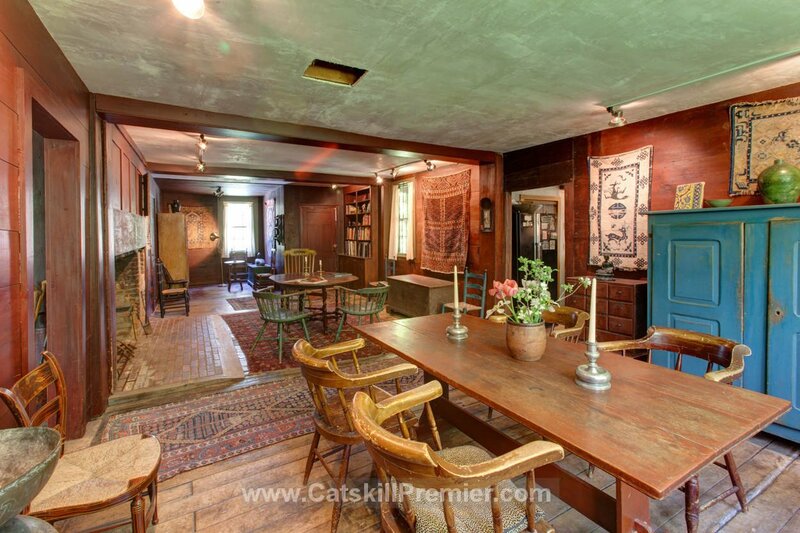 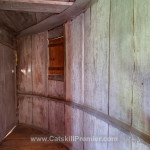 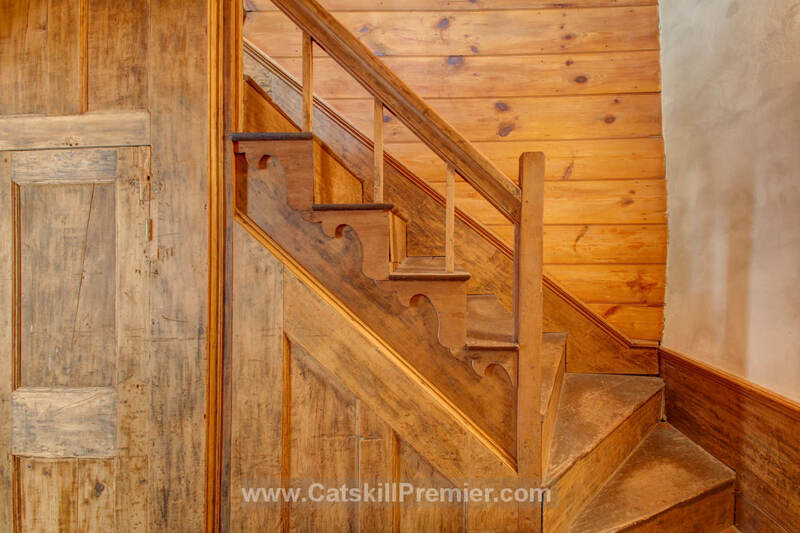 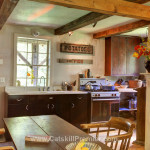 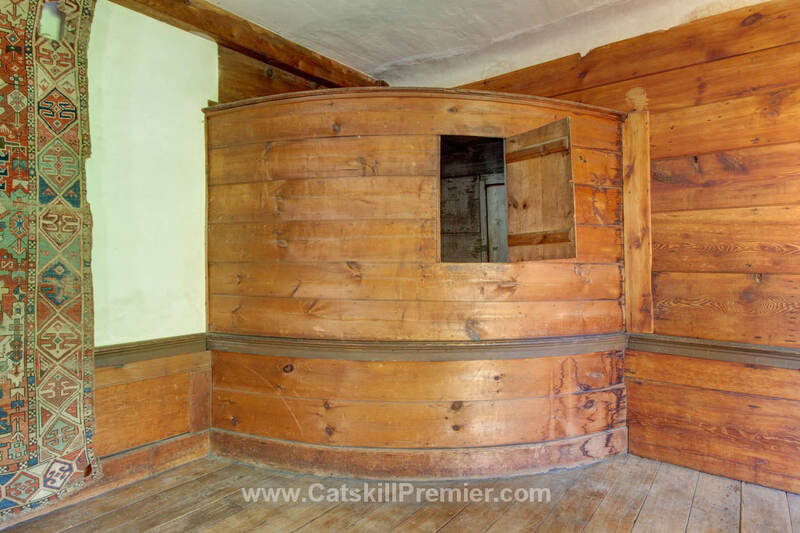 Built in 1795 in a “central chimney, post and Beam Colonial style,” this home in the Catskills village of Andes was originally used as a tavern. 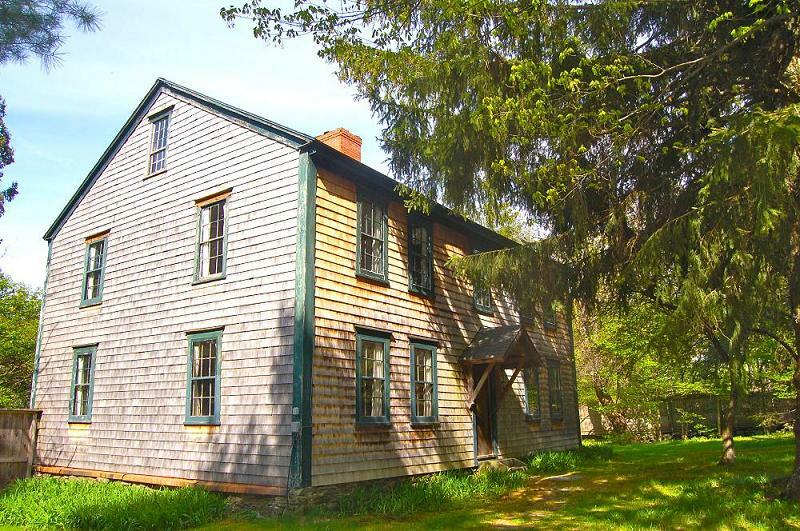 It then had lives as a farmhouse, meeting house during the Anti-Rent War (a tenants’ revolt in the early 19th century), and, most impressively, a safe house for the Underground Railroad (h/t CIRCA). 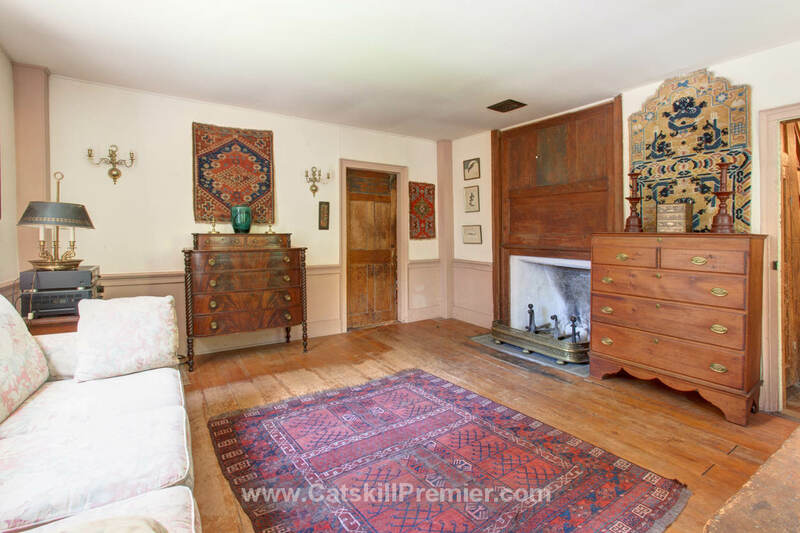 In its most recent incarnation, it’s served as a private home, with the current owners preserving its historic integrity, including five fireplaces, beamed ceilings, hardwood floors, and .62 acres of conservation land. 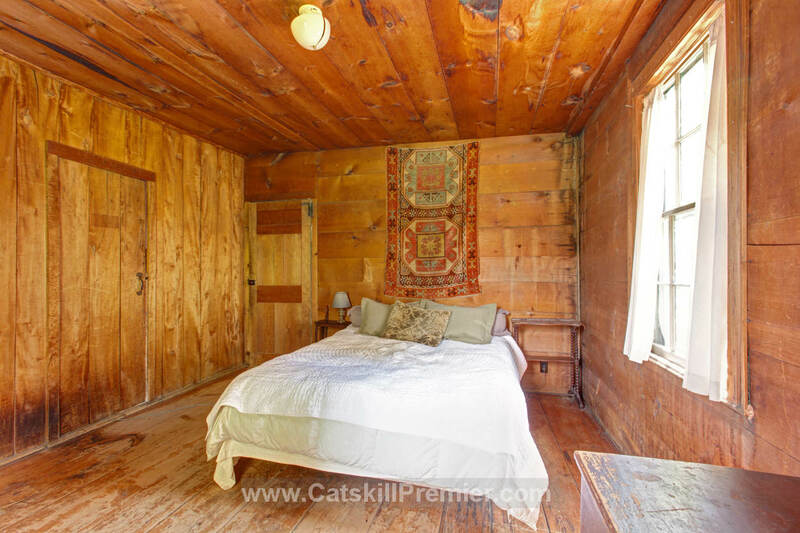 They’ve now listed the property for $350,000. 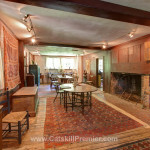 Upon entering the home, there’s a combined living/dining room with enough space for two tables. 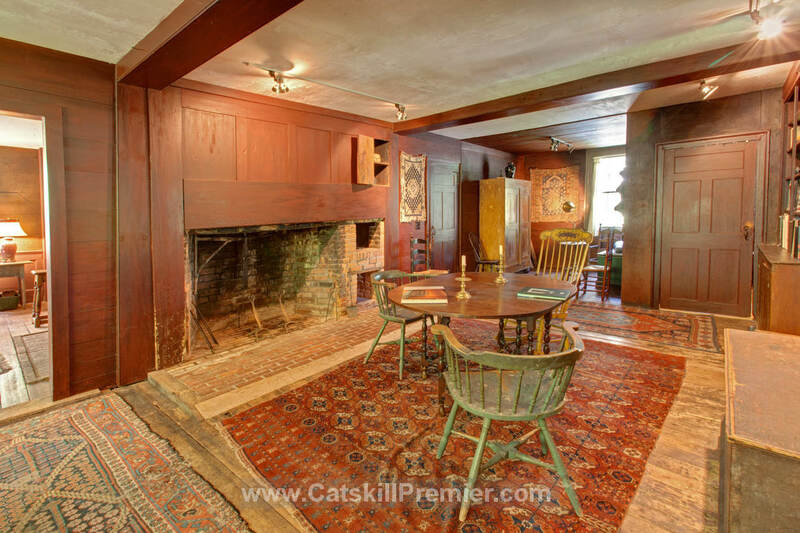 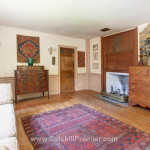 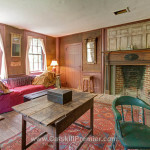 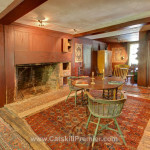 There’s brick fireplaces in both rooms; in the living room it has a carved wood mantle, and in the dining room it’s surrounded by built-in wooden storage. 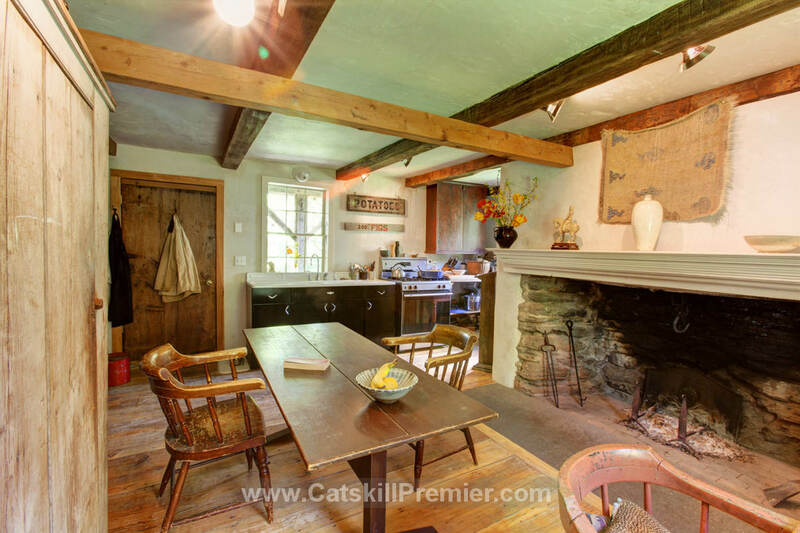 The kitchen has a massive stone fireplace, beamed ceilings, and room for a third table. 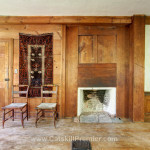 The ground floor also has a den with the fourth fireplace. 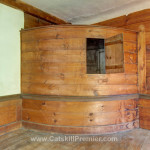 On the second floor is a large ballroom with a circular aperture. 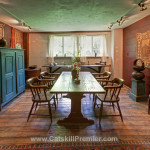 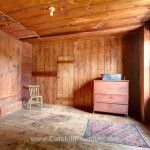 This is the space that’s been used over the past several centuries as a meeting room. 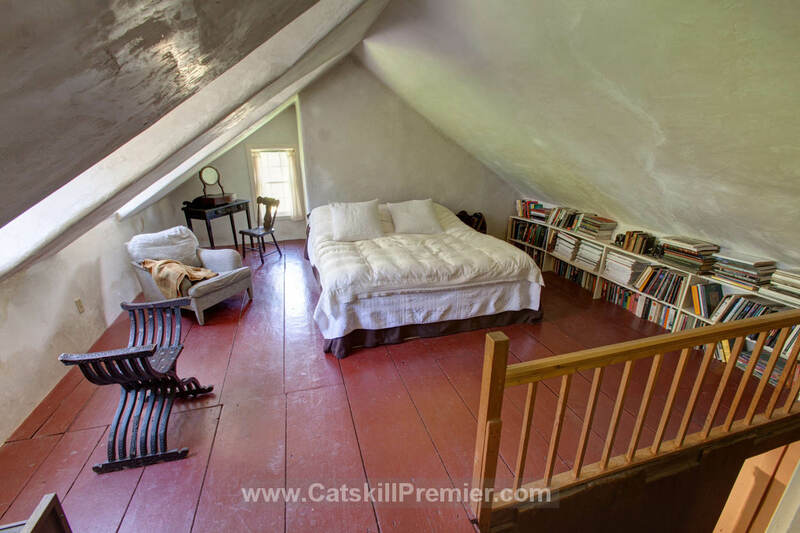 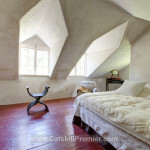 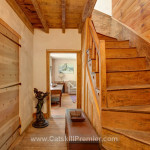 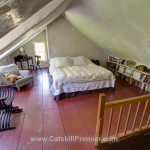 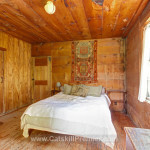 There are four bedrooms in the house, one of which is located in the cozy peaked attic. 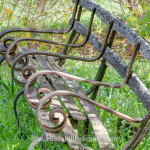 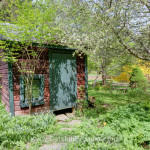 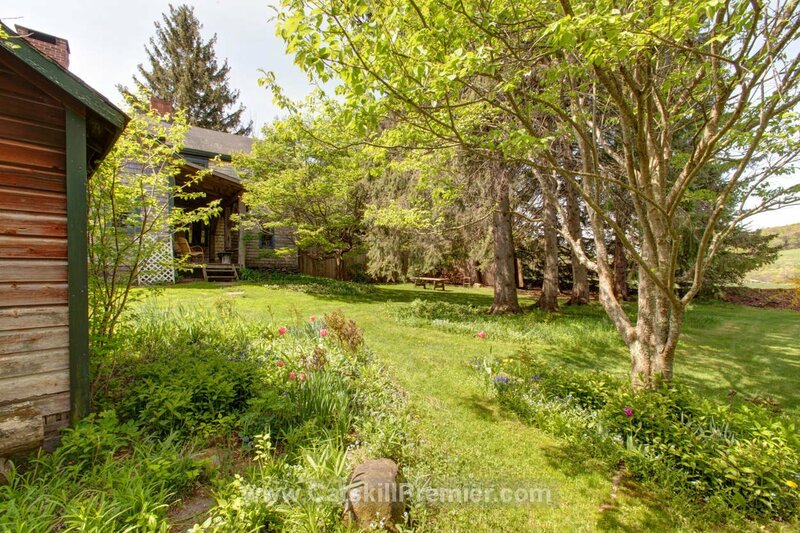 Outside, a covered back porch looks over the private gardens full of perennials, evergreens, flowering trees, and shrubs. 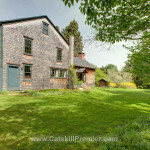 There’s spectacular mountain views, and since the property is bordered by conservation land, development is not an issue. 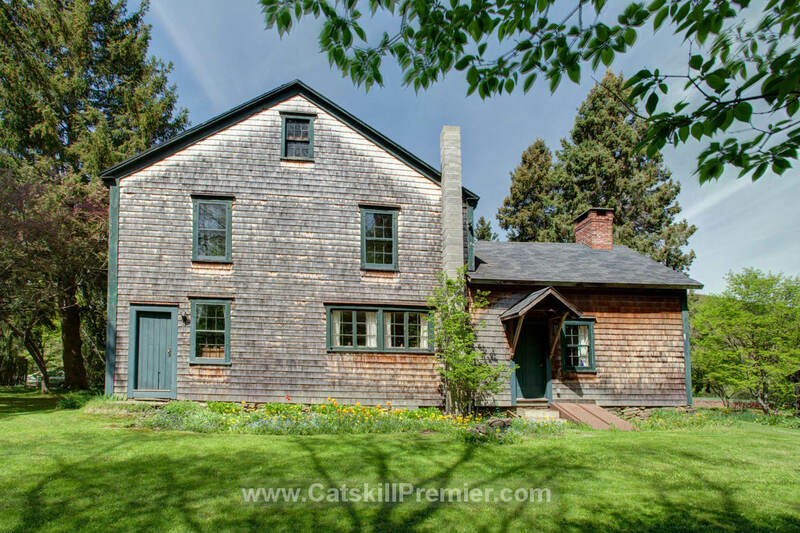 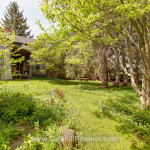 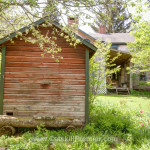 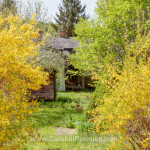 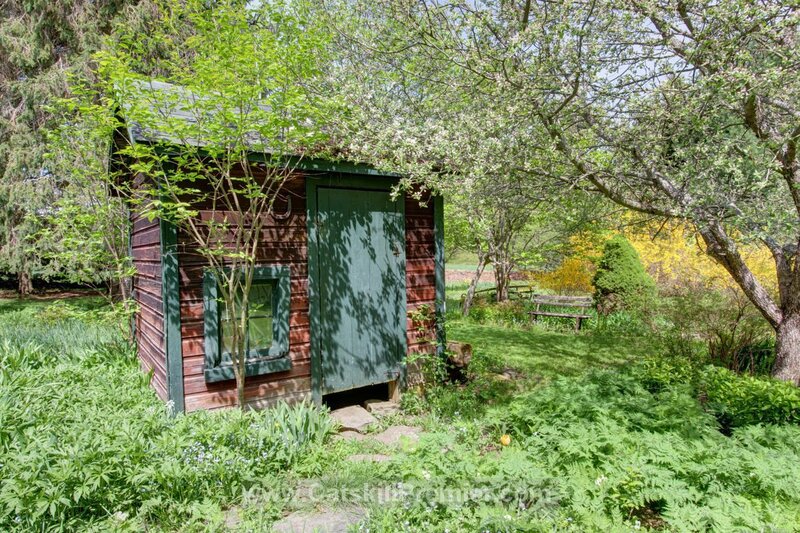 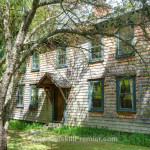 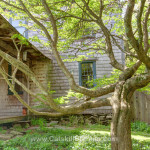 The home is featured in a book called “A Simpler Way of Life: Old Farmhouses of New York and New England,” and it’s close to skiing, golf courses, boating, fishing, hiking, and antique shops.